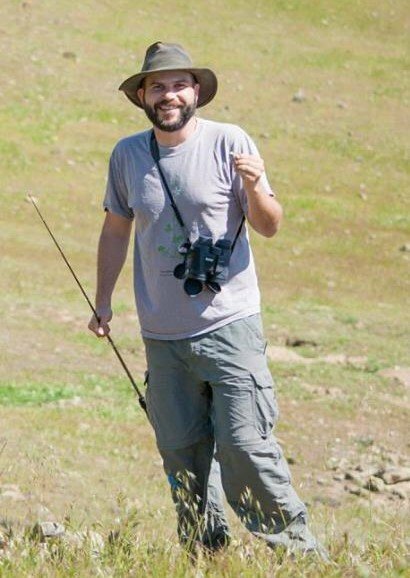 Krikor Andonian is a plant ecologist specializing in plant-soil microbe interactions and biological invasions. He earned his PhD from UC Santa Cruz and has served as a university lecturer on topics ranging from ecology and evolution to physiology and research methods. Krikor's broader interests include natural history and wildcrafting medicinal and edible plants as well as human evolution and anthropology. He is an energetic and engaging instructor who feels most at home with students in the field. Tim Miller is an evolutionary ecologist with research interests in pollination biology and phenotypic plasticity. Originally from Pennsylvania, he earned a BA at Colby College in Maine and a PhD at UC Santa Cruz. Tim fell in love with California at first sight, and he spends much of his free time exploring the state. An avid all-around naturalist, you are most likely to encounter him staring high into trees through binoculars, flipping over logs on a rainy night, or hunched over an unusual plant with a magnifying lens.